Beers Made By Walking: Sign up for the Ancient Forest Preserve Hike in Portland! Sign up for the Ancient Forest Preserve Hike in Portland! Beers Made By Walking and Forest Park Conservancy have partnered to create a series of public, educational hikes, each month, over the next year. Hikes will be accompanied by a brewer from one of the region’s many local breweries. Hikers will learn about the park, the area’s natural history, and the edible and medicinal plants along the trail. The plants will be used as inspiration for a series of beers that serve as drinkable, landscape portraits of Forest Park and the surrounding area. 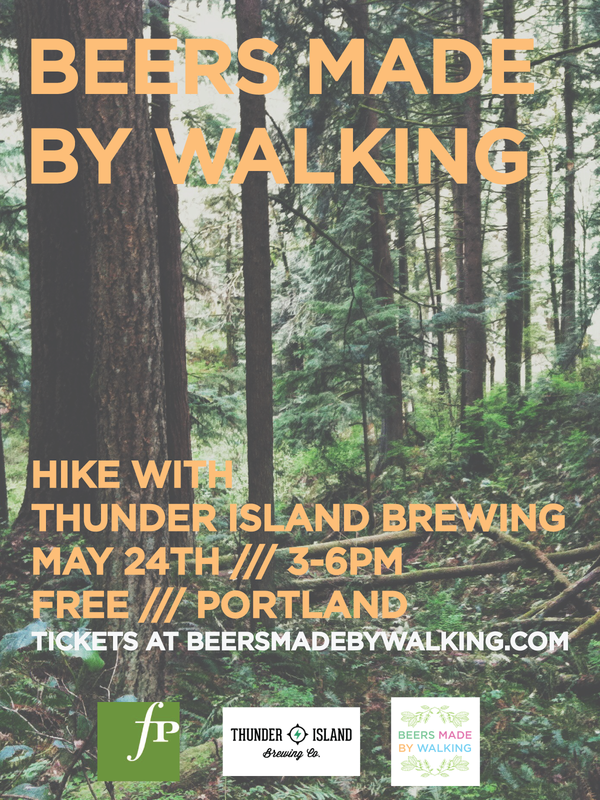 The first hike is on May 24th, from 3-6pm and will be accompanied by Daniel Hynes of Thunder Island Brewing. Hynes has attended a series of scouting hikes and has collected wild yeast in the Ancient Forest, a property owned by the Forest Park Conservancy. Hikers will have the opportunity to sample five different strains, collected from five different areas of the park. Where: A 20 minute drive from downtown Portland, north of Forest Park. Location and parking details will be sent to registered participants.